This seemingly innocuous looking glass contains one of the most refreshing and tasty drinks you can find. 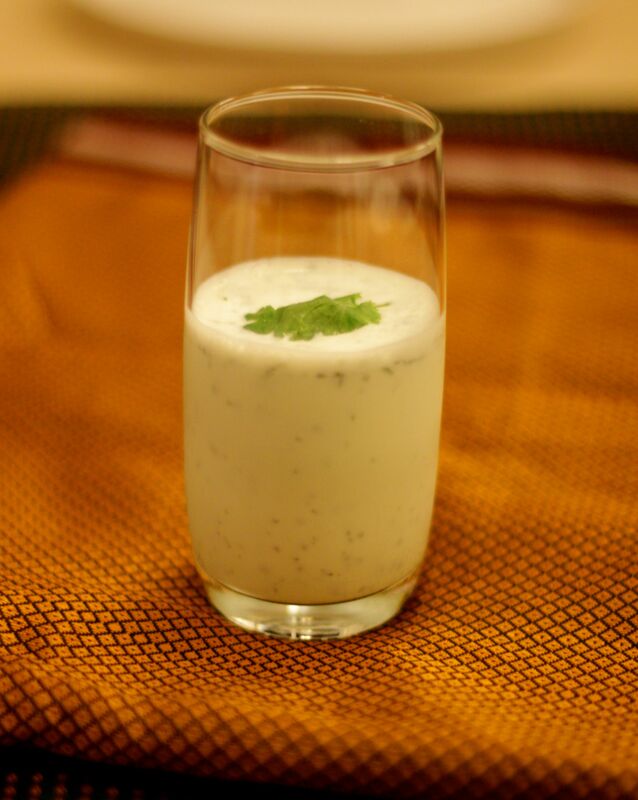 Mattha is a spiced buttermilk drink made of yoghurt, water, ginger, fresh coriander and salt. It’s a great way to refresh yourself on a hot day or to soothe your stomach after a spicy meal. Mattha is similar to Chaas, the North Indian buttermilk drink although the spices used are slightly different. This entry was posted in Marathi cuisine and tagged buttermilk, drink, yoghurt. Bookmark the permalink.